← How good are the groundhog predictions? What makes loud noises on very cold days? 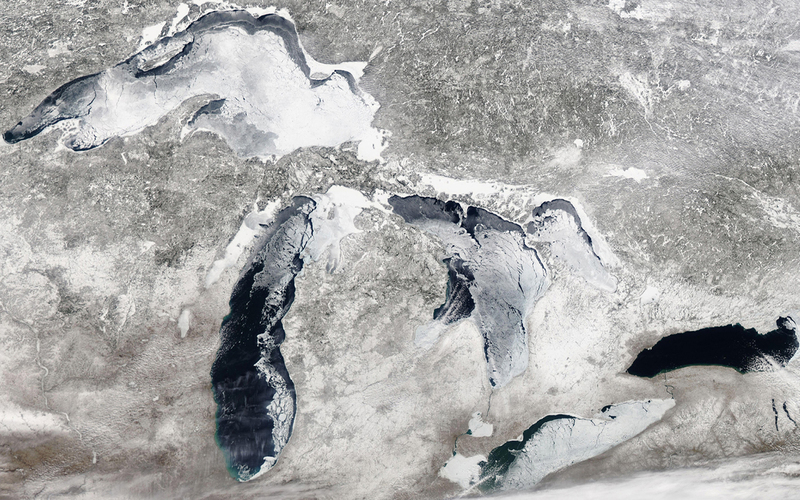 Great Lakes Region during winter via satellite. Thursday night and Friday morning, several people reported hearing loud noises, thinking something fell on their house or gunshots were fired. These sounds result from what are called frost quakes or ice quakes. They occur when a rapid drop in temperature leads to a quick freeze. When the temperatures plunge rapidly below freezing, water in the ground will freeze and expand. As a result, the rock or soil bursts, rather than just slowly expands. The rapid bursting sounds can be accompanied by shaking. Frost quakes are generally too small to be recorded by a seismograph, which is designed to measure the strength of earthquakes. There are four main precursors for a frost quake event. First the region must be in a climate zone that experiences cold Arctic air masses, which is the case for us. Second, the ground must contain water, usually from rain or melting of snow. Third, there should not be more than about 6 inches of snow on the ground. More than that amount of snow serves as insulation and keeps the ground warm. Fourth, a rapid drop in temperature over a 16- to 48-hour period, from approximately freezing to near or below zero, needs to occur. If you think about the weather we had over the last 10 days, the conditions were ripe for frost quakes. The weekend of Feb. 3 and 4 saw temperatures near 40 degrees, and rain that melted snow and provided liquid water to be absorbed by the ground. Thursday night we saw a rapid drop in temperature, falling to below zero. Comments Off on What makes loud noises on very cold days?